PRIDE in the jersey. It sounds pretty easy to inspire but in modern football where money talks and loyalty can be difficult to find... not so much. 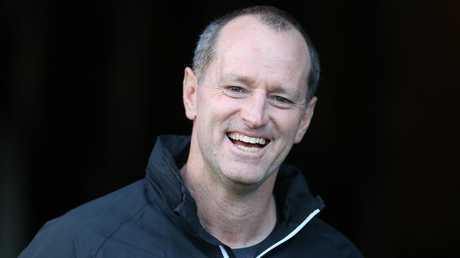 But that's exactly the mission Michael Maguire has set for himself in his new post as head coach of the Wests Tigers. He believes if he can get his men spilling blood, sweat and tears for their black and gold jerseys and the rich history of the Western Suburbs Magpies and Balmain Tigers, he can unlock the joint-venture's potential. A big part of that, Maguire said, is developing local talent. 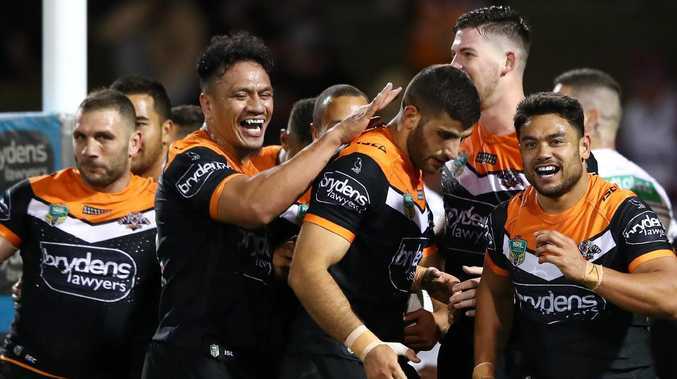 "I'm really looking forward to working with everyone at Wests Tigers," he said. He called the Tigers a "sleeping giant" and said he wanted to deliver for the fans, who haven't enjoyed a finals campaign since 2011. "I think that this has given me the opportunity to jump on what I see as one of the biggest clubs in the game," he continued. "It's a bit of a sleeping giant. "Similar to what I've been at before [with Wigan and South Sydney], there's a lot of supporters out there that are waiting for this club to rise and I want to make sure that I do everything possible to make that happen."